From Out of the Past Comes a New Tale of A Hero Who Strikes Like Thunder, now as a top quality audio book produced by Radio Archives! 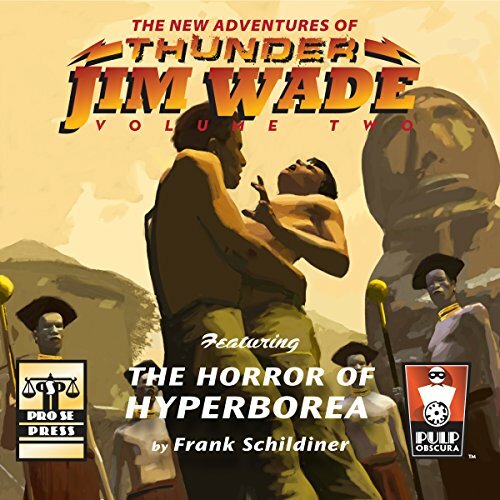 THE NEW ADVENTURES OF THUNDER JIM WADE VOLUME TWO: THE HORROR OF HYPERBOREA by Frank Schildiner! A madman's desperate quest for a fabled lost civilization! A brilliant scientist kidnapped! A menace unimaginable! These are fragments of a greater mystery that sets thunder Jim Wade on a collision course with THE HORROR OF HYPERBOREA! From Pulp Obscura and Pro Se Productions! This exciting second Thunder Jim Wade audio book is also available on Audible and Itunes. THE NEW ADVENTURES OF THUNDER JIM WADE VOLUME TWO: THE HORROR OF HYPERBOREA is available in print and digital formats at Amazon and www.prose-press.com. PAUL BISHOP’S FEY CROAKER RETURNS! ‘KILL ME AGAIN’ DEBUTS FROM PRO SE PRODUCTIONS FEATURING NEW TRUE CRIME SHORT STORY!